Ribs glorious ribs! This recipe is so simple...perfect for those busy nights. Just let them slow roast in the oven for hours, and afterwards...yummy goodness! Preheat oven to 250 degrees. 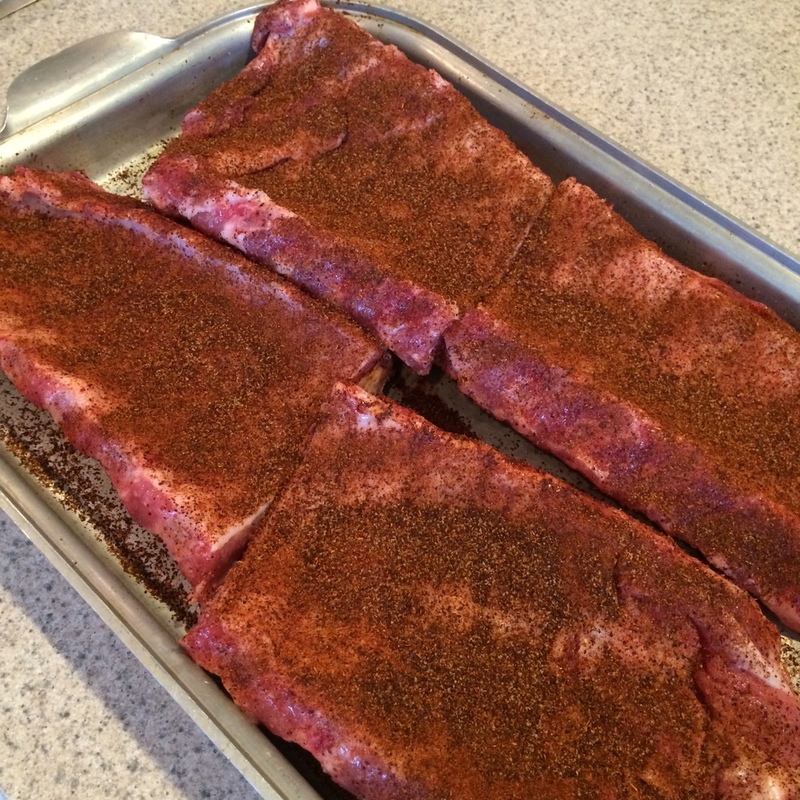 Place ribs on a large baking pan (for easier cleanup, line cookie sheet with aluminum foil). Generously season both sides of ribs with Cherchies Select Grilling Rub and Seasoning and brown sugar. No need to measure for this recipe (wahoo!) Make sure to place ribs fat side down in pan. Cover pan with foil and cook for 4 hours, or until fork tested (a fancy word for using a fork to detemine if the meat is falling off the bone). After about two hours, remove ribs from oven briefly to spoon juices over ribs. Cover and continue cooking. Remove from oven, allow to sit uncovered for about 5 minutes...then yummy goodness. Mmmm! Cooking Tip: No Measuring Spoons? No Problem!